Shut off the flow of CO2 to 2 kegs requiring the same pressure from anywhere in your establishment with this sleek Micro Matic 751-017 aluminum gas distributor! 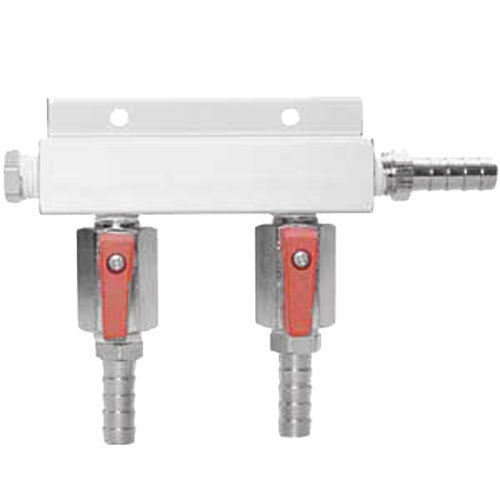 This distributor connects to the primary regulator via a gas hose so you can then use the integrated wall-mount bracket to install it in the most convenient location possible. It features a rugged aluminum construction as well as a 3/8" inlet and (2) 3/8" outlets that easily connect to 5/16" I.D. gas hoses.